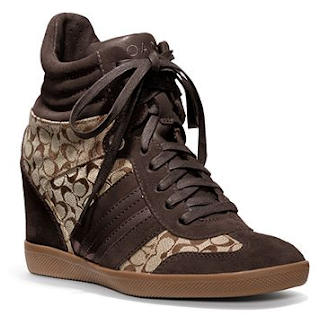 Look who just joined the wedge sneaker club: Coach! Stepping up to the most popular trend, the Alara Sneaker is the first wedge to hit the web from the leatherware company. The sneaker is available in black/black or khaki/chestnut for $178. Check Coach stores through Monday for the exclusive 25% offer! Not for Wedge Sneakers? How about Wedge Wellies?!! Browse through the wide array of online wedges starting from just 399 only at Indiarush. Keeping your fashion demands in mind, Tjori comes up with the wide array of stylish and trendy women oxford shoes. Designer oxford in art forms like kalamkari, Ajrakh, and others.